(SCOTTSDALE, Ariz.) – The first and second times were thrilling. The third time was a charm. The fourth time is shaping up to be the best yet. We’re talking about one of the Valley’s most spectacular social occasions and an event that has gone from a bold experiment in fusing a sport on the rise with a region’s love of exotic cars. In four years it has become one of Arizona’s signature events and has caught the attention of the United States Polo Association. We’re talking, of course, about the Bentley Scottsdale Polo Championships: Horses & Horsepower. And tickets are now on sale, especially for those concerned about getting the best seats available at www.thepoloparty.com. From the top college player in the country, the top players in America, the best female polo players on the planet to the only gay polo league in existence, the talent and appeal of the 2014 version of the Bentley Scottsdale Polo Championships is already shaping up to be exceptional. 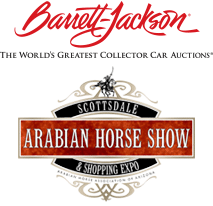 And, as always, the event will feature previews of the Barrett-Jackson Collector Car Auction, the Scottsdale Arabian Horse Show and Phoenix International Raceway. It all gets started on Saturday, October 25, when gates open at 11:00 a.m. The lineup features what will be the top women’s team in the world during 2014 featuring professional female polo players Sunny Hale, Sarah Wiseman and Paola Martinez, and the top professional gay polo player in the world, Caroline Anier (France), on the Women’s World All-Star Team. Hale is considered the best female player in the U.S., Wiseman (of Great Britain) one of the best in Europe and Martinez (of the world’s top polo country Argentina) one of the best in South America. They will take on the reigning event champions, the Clogau Wales Polo Team, which last year defeated the U.S. Military Team, and which plays with Princes Charles, Prince William and Prince Harry, in a “Battle of the Sexes” match. Earlier on Saturday the Scottsdale All-Stars Polo Team will take on the Gay Polo League team. The Gay Polo League, based in Florida, is the world’s only organized gay polo league and will be making its first appearance at the event. USPA Governor’s Cup on Sunday, October 26, commemorating the United States Polo Association’s decision to hold its Annual Meeting in conjunction with this year’s event. Sunday’s action will showcase Julio Arellano, the top polo players in the U.S. and Patrick Uretz of Westmont College in Santa Barbara, the top college polo player in the country. A new addition Sunday will be a memorable brunch in the Rolls Royce Champagne Lounge. Both days will also introduce skills challenges, as occurs at the NBA All-Star Game, before matches commence each day. With a new infusion of polo talent comes a new round of sponsors, as well as some previous ones. Bentley Scottsdale is the new title sponsor and meshes perfectly with the grace and beauty of the Sport of Kings. Heineken is also back as the Presenting Sponsor with its “Pavilion” that entertains guests before, during and after the matches. Lamborghini clubs and over 200 impressive versions of automotive horsepower, creating the best Arizona car party until Barrett-Jackson. A new addition this year will be a “Dog & Pony Fashion Show” with Paradise Valley’s Applewood Pet Resort, and big name entertainment after the matches. Last November, the Scottsdale Polo Championships drew the biggest crowd in the country for a polo event with approximately 12,442 fans enjoying the four-match showdown at the annual Polo Party. This year, with an expanded event schedule and an amped-up polo lineup including the sport’s top players and more vendors, more sponsors, and more horsepower, America’s most-attended polo event is expected to draw up to 15,000 polo fans and revelers to WestWorld of Scottsdale. With the breathtaking backdrop of McDowell Mountains and beautiful white tents lining the field, the Polo Party will again be a weekend destination for both local residents and tourists, and a social event like no other. Tickets, tables and tents ranging from $15 to $5,000 are now on sale. For more information please go to www.thepoloparty.com.